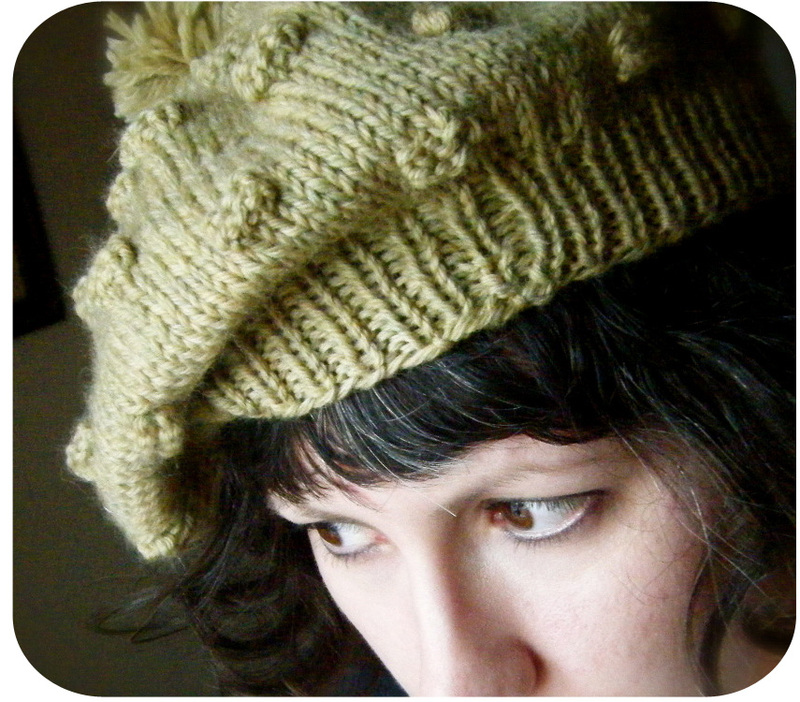 I love bobbles, and this quirky hat is covered in them. A little traditional, a little modern, inspired by new life and buds in the spring and St. Patty’s Day. m1 = (make one): knit into front of the stitch as usual, keeping the original stitch on the left needle; then knit into the back of the stitch, and slide stitch off the needle. mb= make bobble: m1, m1 (you should now have 4 stitches where there were two); turn work, k4, turn work, k4, turn work, k4, turn work, k2tog, k2tog (you should now be back to to two stitches). Work 1 x 1 rib for 10 rounds. Cut yarn leaving a long tail; draw yarn through remaining stitches. 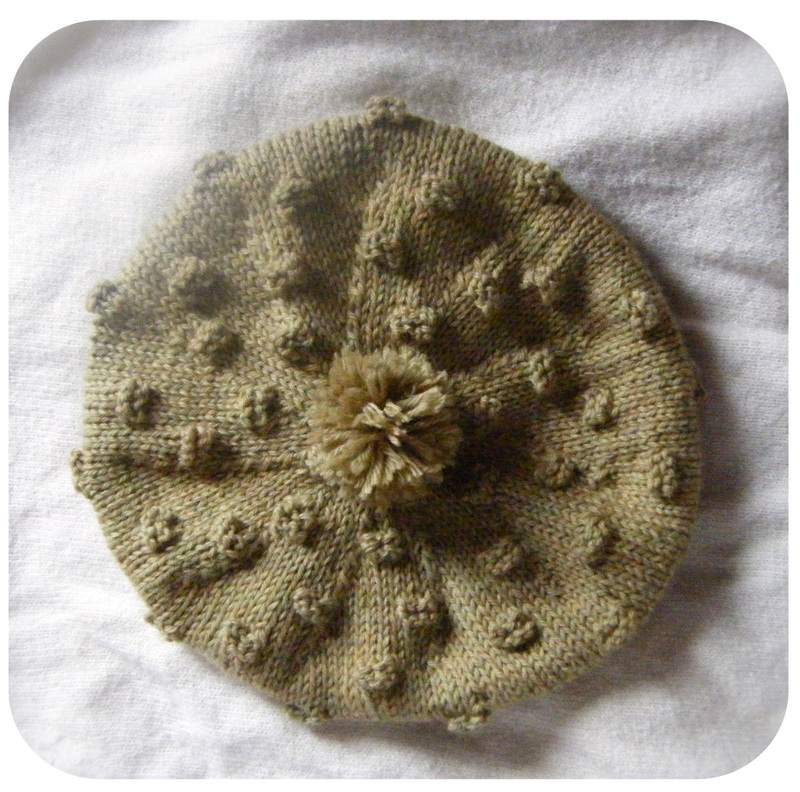 Use long tail to attach pompom if desired. Weave in ends.